Old Man River is finally coming down out of ‘minor’ flood. Should be able to get the boat in wearing knee boots in a couple of days. The Miss is like the scales of justice. It has been owly since ice out–but its about to get great! A couple of folks have recently asked if flooding in the Miss is more frequent now than it used to be. I think this needs to be looked at in cosmic terms rather than the human perspective. In the beginning, God created the Mississippi River. He looked down and saw it was good. God figured this great River should carry an allegorical gallon milk jug of water. He poured it across the land and moved on to other work. To this very day, that same gallon comes down the River to the Gulf of Mexico. The Bible tells us the Creator gave man stewardship over the land. Things went pretty well in this regard for thousands of years as native Americans realized thriving meant finding harmony with nature rather than futile attempts to bend this force of nature to the will of man. Then the white man arrived–like a guy from Chicago moving to the country, drawn by it beauty and deciding he could improve it. The mighty U.S. Congress mandated the Corps of Engineers maintain a channel for navigation. They complied, throwing a handful of pebbles in that allegorical gallon milk jug. later, Congress mandated the channel be made deeper to allow for more ‘progress. More pebbles in the jug. some concrete, too in the form of 33 massive lock & dam systems—and there are still 164 allegorical ounces coming down the River, now obliged to find a way around all the pebbles. maintaining a 9 foot channel for navigation reinforces the first rule of plumbing–silt rolls downhill. Backwaters of the Mississippi which used to hold the displaced water silted in, clear up to pool 11 at Guttenberg. When I was a kid, just 50 years ago growing up on pool 13 downstream you could get from the backwaters to the main channel a half-dozen different ways. No more. One dredge cut now, with the silt send on downstream to reinforce the first rule of plumbing. So here we sit, mid-May, with the river just coming down out of ‘minor flood’ to ‘action stage’. 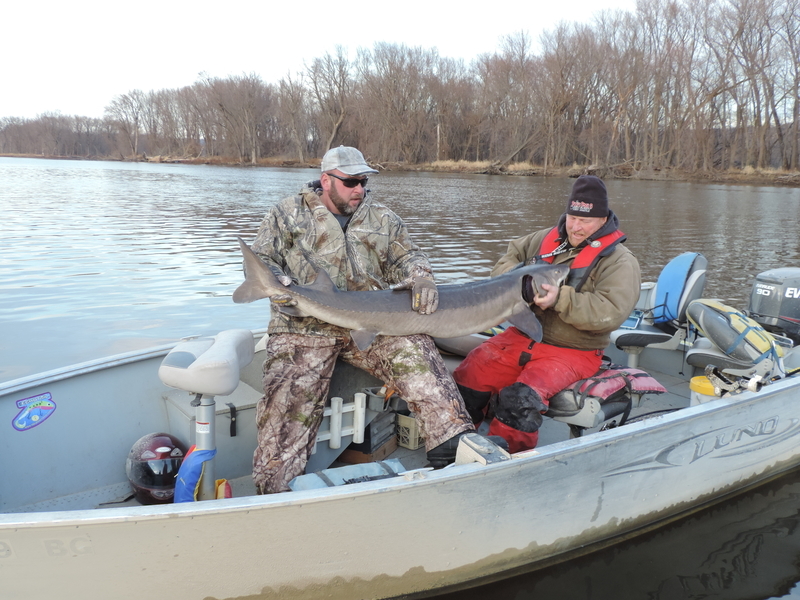 Those who work on the River could care less what the USGS calls the River conditions. If you can’t launch the boat anywhere–that’s a FLOOD. Nowadays there are about a quart of pebbles in the allegorical milk jug, with 164 ounces still coming down the River. In a few days enough of those ounces will pass downstream to the point where I can get the boat wet again. Lord willin’ this will be in just a day or two. When this happens, the fishin’ will go from good to off the charts in a very short time. When this happens, you can read about it in this blog…once I get off the River. The upper Miss is finally shaking off winter! The 10 inches of snow we received on Wednesday is already gone from everywhere but the hills, entering the water column and sparking seasonal change. Many factors come into play in the River as we run headlong toward May. Water temperature is just one factor. I was out for the first time in a week yesterday. Water temp on the main channel varied from 35-37…pretty much where it’s been for over a month. BUT some dark bottom areas with little current were as warm as 49 degrees! 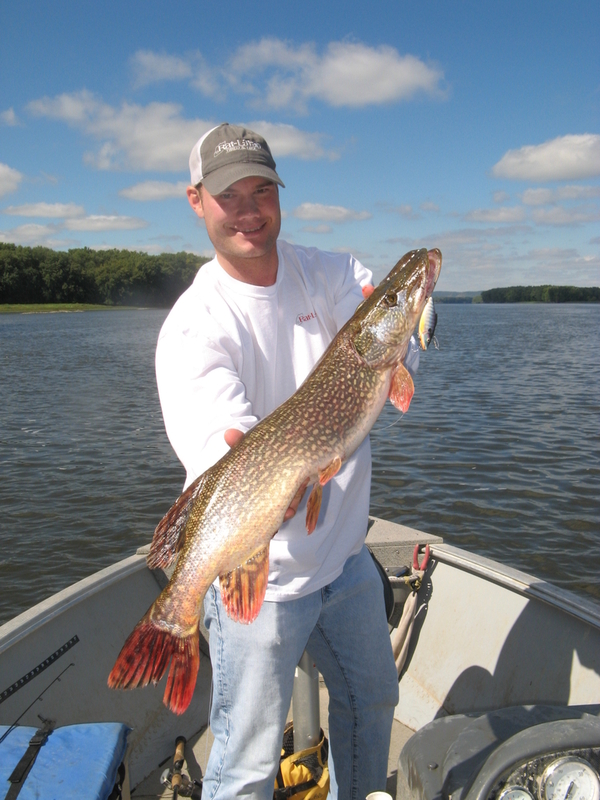 Pike typically spawn in these areas when waters warm to 45, with walleyes typically getting down to business at about 45. 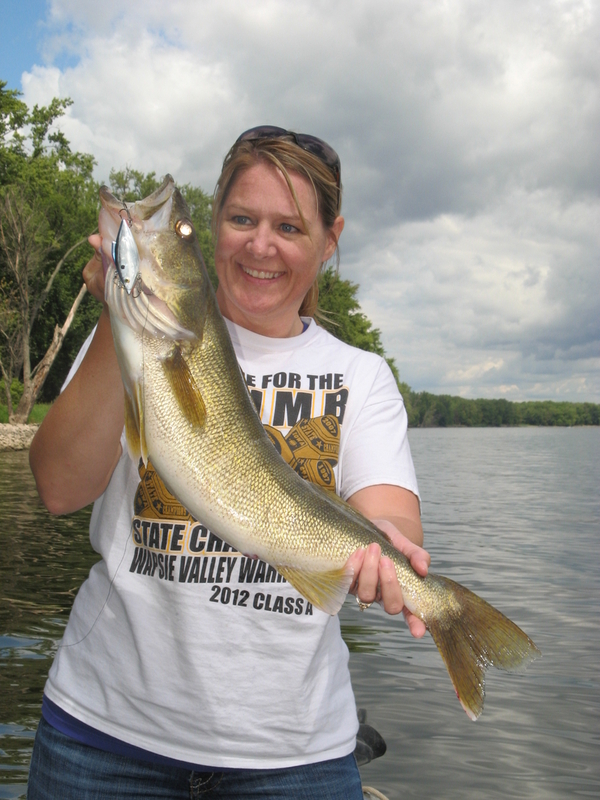 A female walleye can only carry eggs around for so long. On the Miss, pre-spawn walleye location is like coming up a flight of stairs, moving ever-shallower until its time to get into shallow water with rocky-rubble bottom and spawn at night. Some fat females were already half way up the stairs in late March. When 2nd winter arrived, they pretty much sheltered in place. Many of these fish have already spawned…even though water temps have been below the ‘ideal’. Other fat females are poised to rocket up those allegorical stairs. Under the almost-May sun it doesn’t take long for waters to warm–and “warm” is a relative thing. The average date of spawn on the Upper Miss is April 15-20. Although this year’s spawn has so far been fits and spurts, the soft parade of Mississippi River life is well underway! 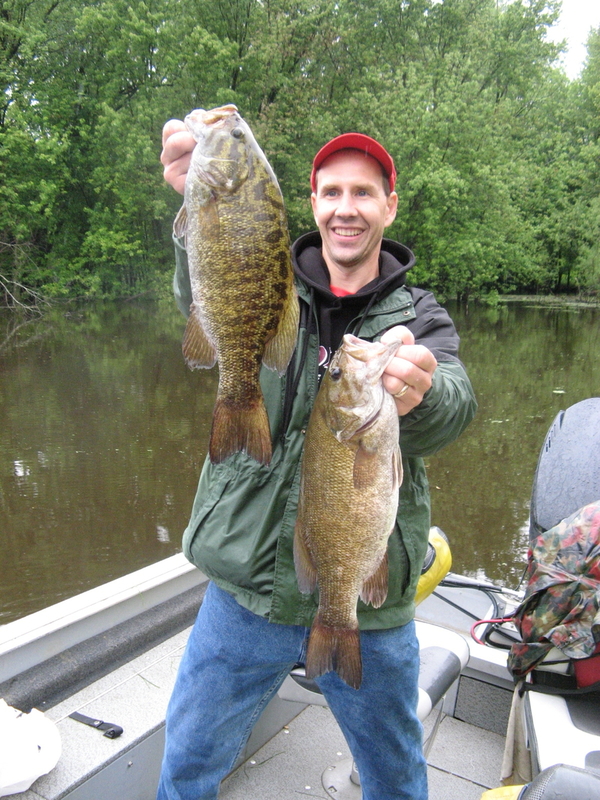 Yesterday smallmouth bass started getting active, pretty much in the same habitats you would expect to find spawning walleyes. Fish are cold blooded, naturally drawn to warmer water. 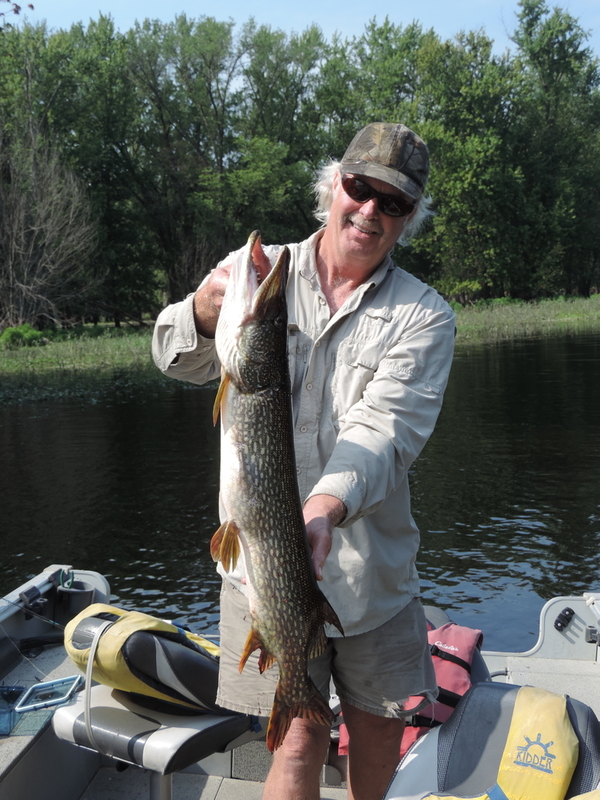 It will be game on for pike and other species in those areas where I found 49 degree water yesterday. Time to break out the Rat-L-Traps! Yesterday was the best day weather-wise we’ve seen all Spring. Blue skies, calm winds and a temperature pushing the average norm of 60 degrees. The only thing missing on the River was boats! Not many folks out there for a sunny Friday afternoon…with the exception of the bottom end of Desoto Bay where a dozen boats were clustered. Somebody must have caught a perch and hooted like john Gillespie. If you check about 4 blogs back–a month ago–we were on track for a normal spring. Falling water temps are never a good thing in the Spring. Two weeks ago water temps fell from 39 down to 36, and they have dropped to near-freezing since then. Snow sounds crunchy underfoot when it’s really cold out. This truth was reinforced this morning when walking the dog. The thought that there is something wrong with hearing crunchy snow underfoot on April 7 crossed my mind. Then I realized the Creator made it so, therefore it must be right. My arms are far too short to box with the Almighty. Much better to work within His grand plan–which brings us back to that blog a month ago: we’re back on track for Spring. The end of “Second Winter” should come this week. Walleyes which had begun stair-step staging from 28 to 21 to 18 feet of water are back at the bottom of the steps again, sulking in their wintering holes. This sulk will end shortly and with purpose. I haven’t fished in more than a week, simply because it isn’t worth fighting near-zero windchills to be out there during the unpredicatable–but certainly brief–window when fish decide to eat. it will still be a couple of days before I get out again. The first place i’m gonna look is in quiet deep water. By next weekend, i’m thinking the fish should be running up the steps, partly because April 15 is real close to the time fish in the Upper Miss usually decide to spawn. Because of this spawning urge, the walleyes are about to get antsy. They just don’t know it yet, because limited mental capacity in their pea-sized, cold blooded brains is still in hibernation mode. The river is running just a little high now, but actually on the low side compared to most years at this time. With just a little more color in the water, a little more color is called for in lure selection. Spring 2.0 will be happening any day now. Vertical jigging in the deep trenches with Echotails and hair jigs will quickly give way to dragging and pitching plastics. There is a small soft tackle bag always close at hand which contains a half-dozen or so plastics,, with the selection driven by what kind of fish I’m chasing. 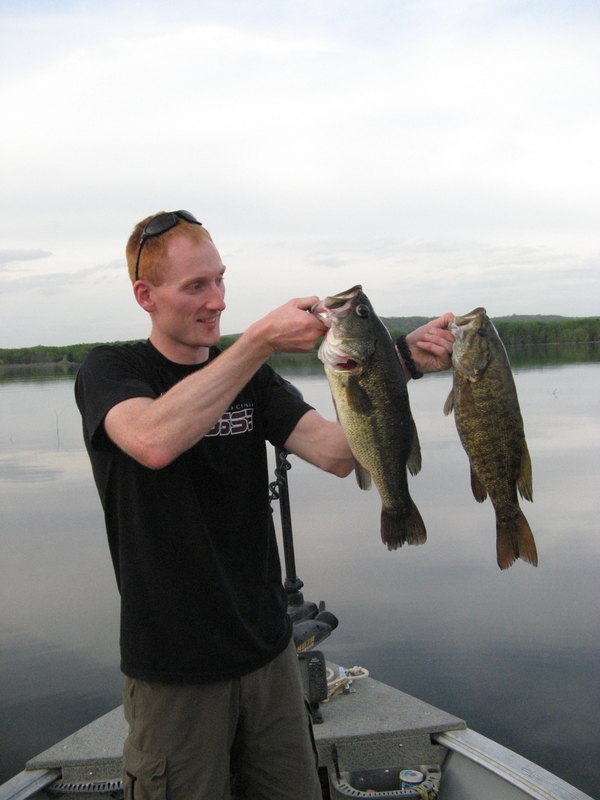 In the warmer months this is mostly Chompers, Chompers senkos, flukes and Kalin swimbaits. This time of year it used to be ringworms and K-Grubs. It just dawned on me that advancements in the world of plastics have changed the cold water plastic selection in that handy go-bag. There are still a couple bags of Kalin grubs in there in different colors, but ringworms were replaced by the beefier Moxie tails a year or two ago…and the Moxie tail has given way to the B-Fish-N Tackle Pulse R, essentially the ringworm on steroids mated with a paddletail on steroids. Regardless of plastic color, the Pulse R is fished behind a Pyrokeet pattern Precision jighead. Between now and when the ‘eyes go post-spawn about the 25th, the Pulse R will be one of three primary eye-chasing presentations in my Lund. Little things are really great big things when the water is cold and/or the barometer is stratospheric. At the Cusp of the Run! Water temperatures are starting to tickle 40 degrees on pool 9 after hovering at 37-38 for over a week. 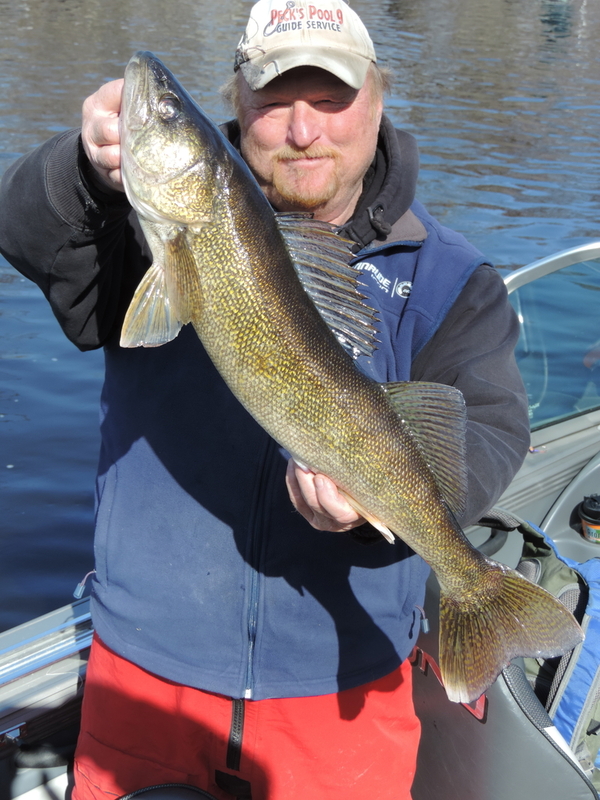 Today the air temp is supposed to tickle 60, which may kick the water temp up to 42, resulting in much more aggressive walleye, sauger and perch activity. Ice is still clinging to Desoto Bay, although the far north end is open and there is 5-10′ of open water along the edges. Ice broke loose yesterday on Fish Lake–at the bottom end of the “S” turn in Minnesota slough–going from shore to shore and completely blocking upstream passage. Might be gone today. might not. yesterday I had to run clear upstream to Lost Cut on the main channel and sneak in the back door of Mn. slough, where the action is mostly short saugers and the occasional decent fish. About a week ago, I launched at New albin and got back to the ramp about dark–to find a garage sized chunk of 8″ thick ice blocking the north ramp(the south ramp was still locked up) With some River ingenuity I was able to use thrust from the E-Tech and natural current out of the Winnebago slough to push the ice away jut long enough to get the boat out before ANOTHER big slab blocked the ramp. The point is, the Miss is a profoundly unforgiving place. Don’t go anywhere you can’t get yourself out of, especially with ice still a factor. The walleyes have already started what I call ‘stair-step staging’ with the water at 38. Depth is a major key to fish location. It also drives presentation. When I find the marble-eyes happy place du jour, I start with a vertical jig downstream with hair and plastic, pull three-ways back upstream, then follow the contour and pitch/drag ringworms from shallow to deep.. Seems like one presentation usually has an edge. but the other day when fishing with my ol’ pal Ron Barefield we caught ’em with every presentation and Ronnie CPRed a hefty myopic melon we guessed at abut 9 lbs. This was a good day. So far, not every day is a good day–at least when it comes to catchin’. The bite has been definitely time sensitive, too. All that wants to bite after 3 p.m. has been perch, and the perch tend to come through in waves. But this whole situation will be downstream from us by the time you launch the boat. The hot bite window is about to open. maybe today. Gonna go find out right now. Got out on a favorite chunk of early March ice yesterday. First time since Thursday. last time out there was 22″ of good ice here, and a nice mess of respectable perch which attacked a Slab Rap. On Thursday, I got on the ice about noon, with the hot bite from about 1-3 p.m. So yesterday, back to essentially the same holes. Walked on the ice about 9 a.m. perch still there. By noon I had iced just six–none of them keepers. Started with the slab Rap, then went to a Forage Minnow on a drop chain, #3 Puppet Minnow, then a Purple Cecil. The perch had varying degrees of interest. some shooting up off the bottom several feet before ghosting away. Meanwhile two deadsticks baited with minnows produced absolutely nothing. About 1 .pm I went to the Gold Cecil and hooked into a fat 12′ female. maybe it was time of day, maybe lure choice and presentation. Can’t say. But bite was steady after that with no time to ponder sundry mysteries of the fishing universe. kept 9 perch 9-11 inches. Several iced were over a foot. Biggest was 12 1/2″. No monsters, but some really nice perch. The males are milting like crazy now. 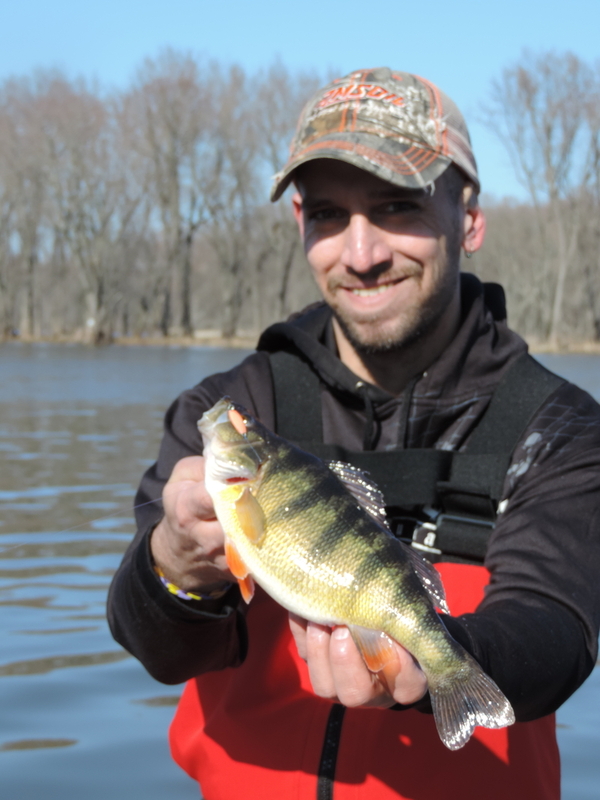 Female perch are putting a lot of energy into egg production, so flesh is definitely not as firm as the males…one more reason not to keep those fat orange egg cannons. This morning I was lying in bed, mulling fishing options for the day. 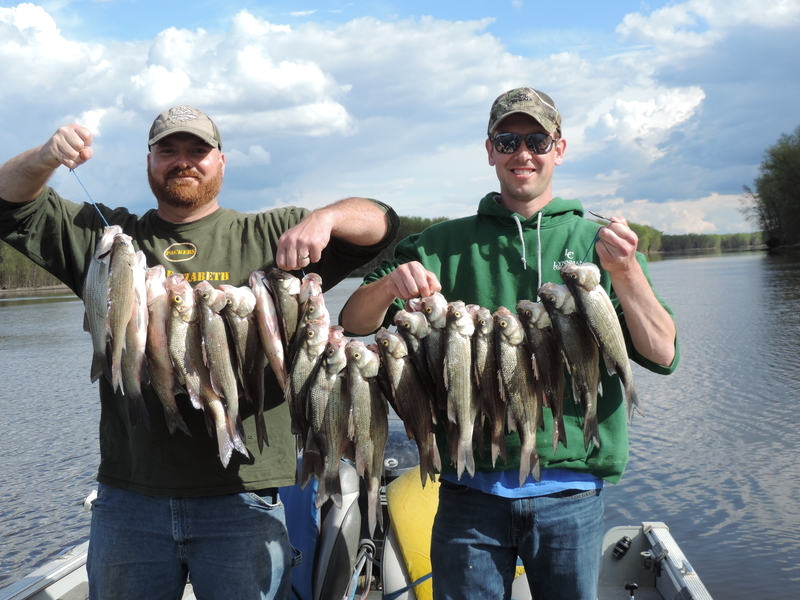 I KNOW I can go catch a dozen walleyes and saugers in the boat…but that will be pretty much an every day grind once the guiding work picks up. I also KNOW I can go ice a nice mess of perch. Experience has taught calling out ‘help!’ comes out several octaves higher, with just a hint of desperation in the tone. Not the kind of song a crusty old river rat likes to sing. So it’s back to the ice for a couple more days, then time to charge the Vexilar and put it on a shelf. Better to see that FL-28 safely stowed than realizing it is somewhere on the bottom and i’m thankful to be safely ashore and alive. Probably won’t blog for awhile. Will be too busy fishing to jump on the shiny object and tell the world I’m fishing. Effective immediately, I’m raising my guide rates 10% across the board. This is the first rate increase since 2004. Didn’t really want to do this, but the cost of just about everything has gone through the roof over the past 14 years–in many cases far beyond 10 percent. I just can’t continue absorbing these expenses and continue working. The final straw was the FWS announcing they will start charging fishing guides on the Mississippi a MINIMUM of $400 up front. This tax is for ‘administrative purposes’. not a penny for the resource. The FWS wants us to pay them to monitor what we do here on God’s river. We River guides believe there is already enough regulation by the USCG and the states. Every 5 years we are required to renew our USCG captain’s license. The actual license is only a few hundred bucks. but part of renewal is a physical, eye exam, hearing exam and pee test–all of which comes out of pocket. So now we’re talking about $250/yr. for the Captain’s license. On top of this there are guide license requirements for several states, and of course fishing licenses. A million dollar liability insurance policy costs me about $550 annually. Insurance on the boat, motor, electronics and gear is another $400 a year. Then there are federal, state and sales taxes to add to the FWS tax which they call a ‘fee’. but make no mistake–it’s a tax. Boats, motors and fishing gear have in some cases almost doubled since 2004. Remember when a Mepps spinner was just a couple of bucks and a Rapala was maybe $3.25? it now costs $15 to spool an average spinning reel with superbraid line. Factor in backlashes, snags and general screw ups and the cost for fishin’ line is about $25 PER REEL per year. 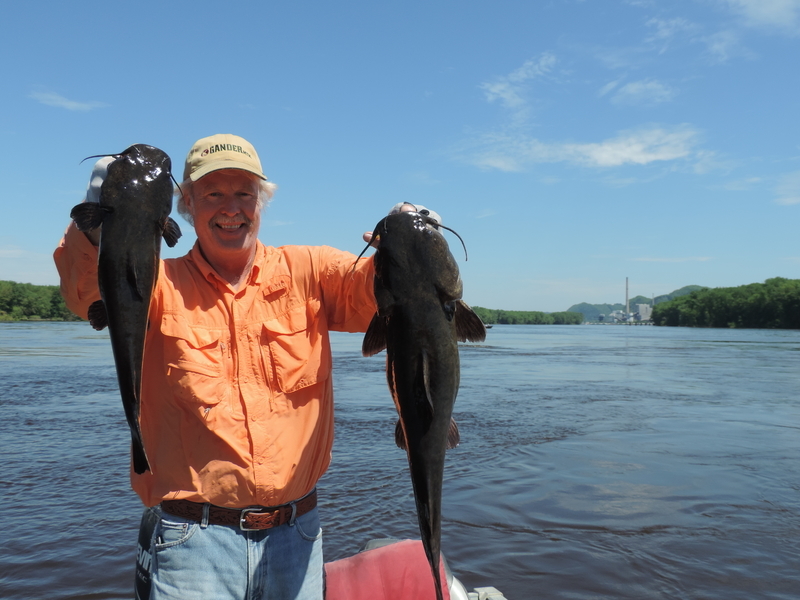 The Mississippi is notoriously tough on gear. $25-40 bucks used to be the going rate to fix a prop. Now the cost is double that. Back in 2004 I used to buy nightcrawlers from the Amish kids for 50 cents/dozen. The price is now somewhere between $2.50-3.25. Have you priced jigs, sinkers or snap swivels lately? Outrageous! If clients don’t bring their own rods they can use mine. it’s quality gear. 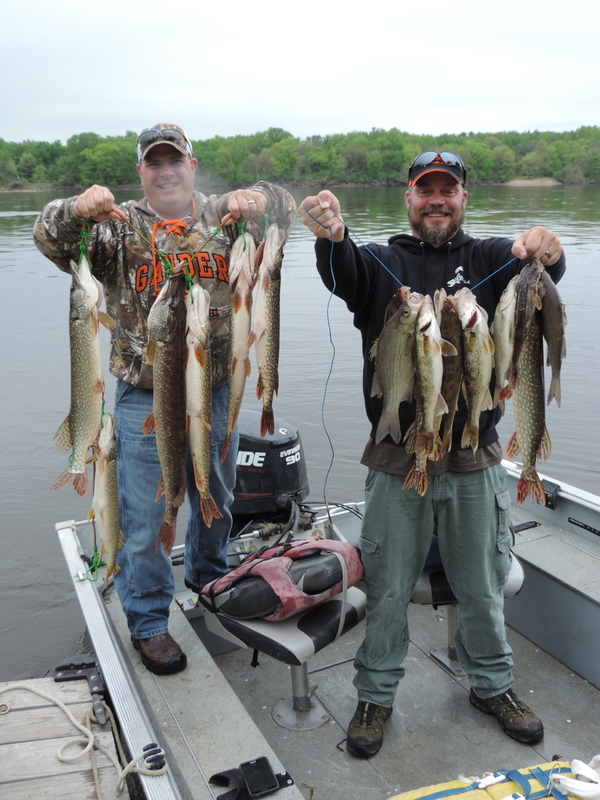 St. Croix rods and Okuma or Pfleuger reels. Even with the price break I get as a pro, the average rod and reel is over $150. Some folks still think the major expense of running a guide business is gas and oil. I’ve actually had people say $20 should cover all my expenses, and the rest of the guide fee is pure profit! Don’t get me wrong. I really LOVE my work. With over 30 years of guiding experience and more than a half-century of serious fishing, I’ve learned enough to promise you’ll get out of the boat a better angler than when you got in–regardless of your skill level. Right now my ‘profit’ is barely above minimum wage based on base rates. Fortunately, many enlightened clients have at least a vague idea of how hard guiding is and favor me with a tip. One client last year made sure I knew there was a $5 gratuity in the money he aid me…then he apologized for losing FIVE CRANKBAITS. 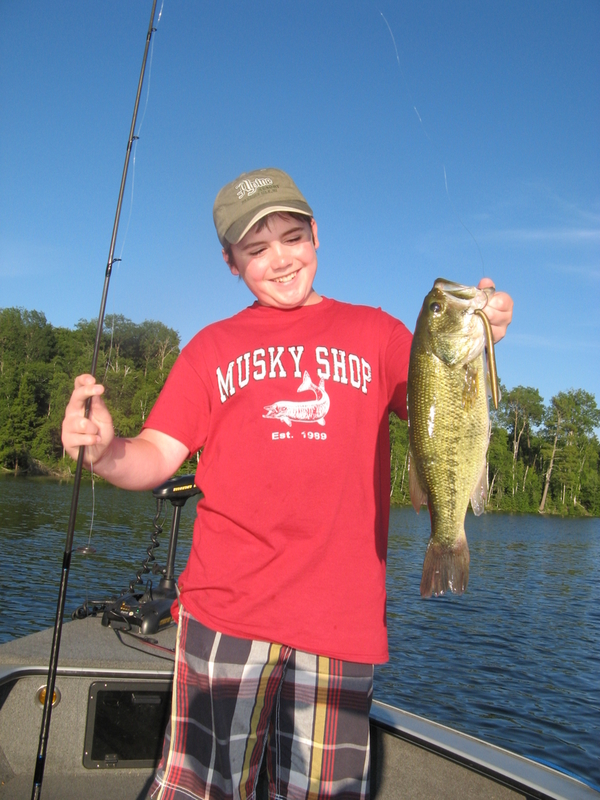 One major reason for this lost was insistence on using his favorite rod with 6 lb. test line. this is the RIVER. Show up with less than 10 lb. braid and you’re gonna lose gear. Thank you for hanging in there for my high pitched whine. I sincerely hope you still want to jump in my boat. If you think I’m charging too much, please look elsewhere for a guide. Yes, I’m a grump old man. The Mighty Miss is a grumpy old man, too. The River’s gotta keep on rollin’…and I’ve gotta make a living. I believe we’re about done with our last little burp of winter. St. Paddy’s Day is next weekend. By then a lot more than the main channel will be open. Not saying we won’t get another snow–or two–before the lilies pop up, but we’re definitely in the outer rings of Spring. 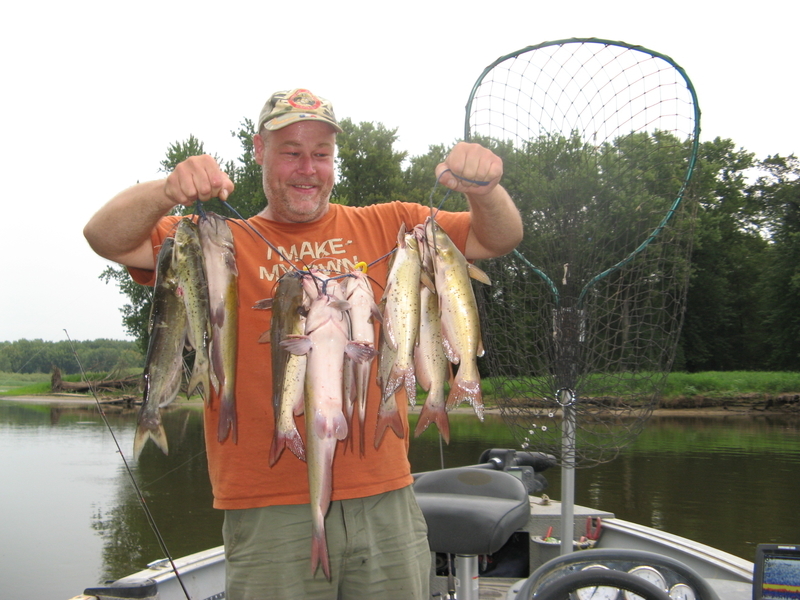 Tonite i’m doing a seminar at the Driftless Center in Lansing “Walleye Fishing on the Upper Mississippi”. Presentation starts at 7. 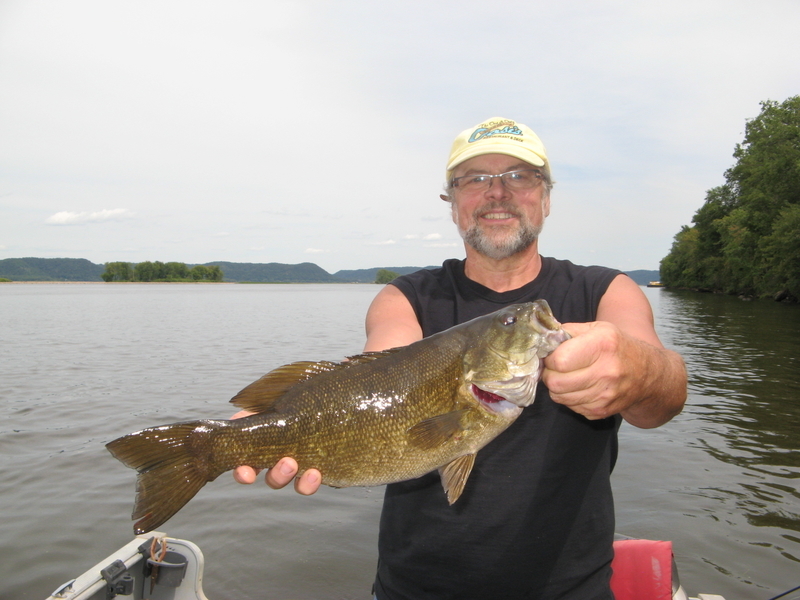 Plan is to take folks through seasonal patterns and presentations, but it will likely go like most fishin’ trips: get to the ramp with a plan and five minutes later you’re headed up the River instead of down with an entirely different plan. With over a half-century of hard fishin’ on Ol’ Man River there are soooo many rabbit holes to go down. But that is half the fun. For years I’ve gone out there with a plan. Sometimes almost smug, thinking everything was dialed in. Finally, I realized God is in control, with HIS plan to send fish–or NOT. all you can do is go out there and try hard. Right now, the River is running a little dirty–which is to be expected. Levels are about the norm for having backwaters still packed with ice. This picture will change drastically over the next 10-14 days, as ice blows out of the backwaters and the River sees a substantial rise. 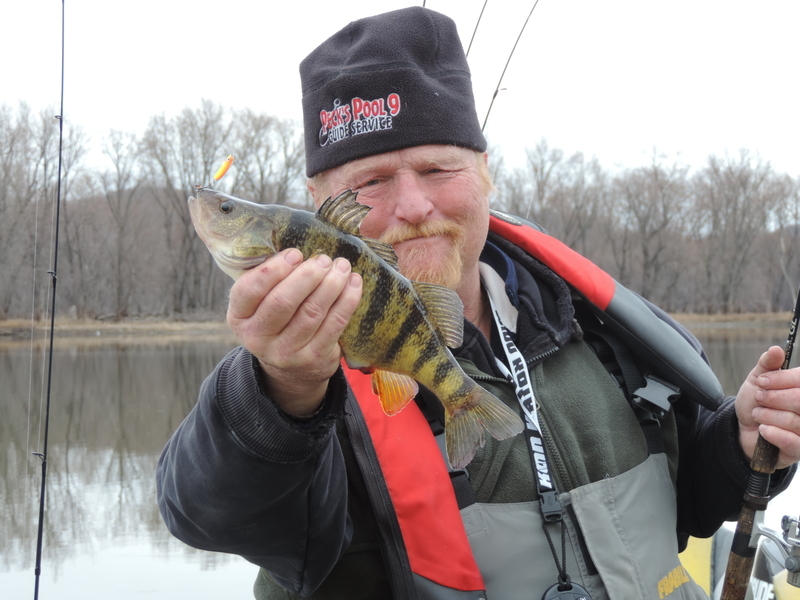 Until then, the walleye/sauger bite will be in main channel wintering holes and adjacent flats, with perch becoming more aggressive under the fading ice–also on flats, adjacent to open water. Pike are very active now, both under the ice moving toward spawning areas and near the confluence of tribs with the main channel. The next few days should be super for one of my favorite early-Spring things: setting tip-ups for pike in ice covered bays with the option of vertical jigging nearby for walleyes. Although the end of march and first week of April are pretty much spoken for, I still have a number of openings both before or after, if you’re looking for a guide…not that i’m real eager to work. Work cuts into fishin’ time. Usually can’t fish when I’m workin’, even though my work is fishin’. Maybe I’ll sell Sally, my old plow horse, and by an ox. Then I can be a true oxymoron. On the way to catch some perch in one of my favorite little backwaters a few days ago I saw about 15 tundra swans working stubble in a half-flooded field. Their arrival is a sure harbinger that spring is as hand. 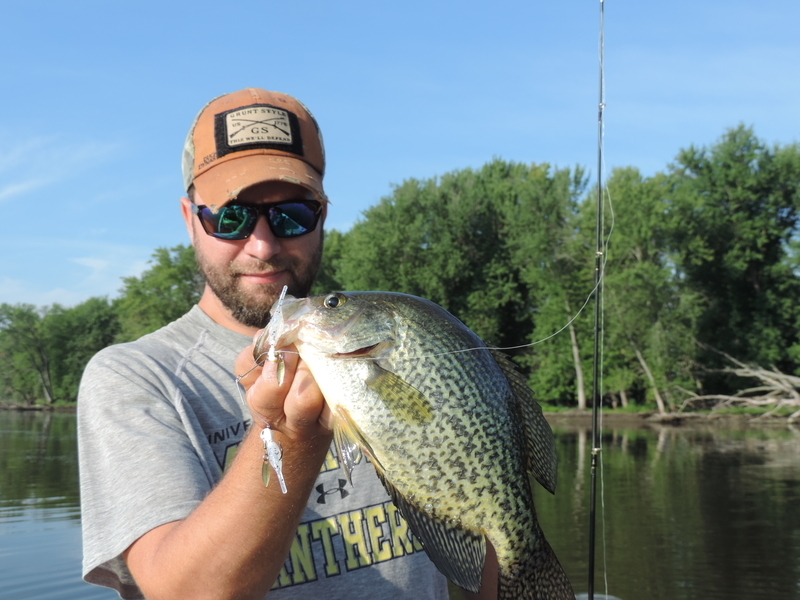 didn’t catch any perch, but did manage some nice crappies. Fish had nothing to do with a Cecil Tried several colors. They were interested in a horizontal presentation, however, with activity going from frosting licking about 18″ off the bottom to borderline wild once the sun dipped below the bluff–right under the ice which is still 2′ thick there. The Genoa boat ramp is now pretty much open, but bringing a spud along is a good idea. A lot of time shove ice comes in there and needs to be pushed out of the way to launch. ditto the Blackhawk Trading Post ramp downstream. initially was going to launch here yesterday, but it would have taken a good 20 mins. of spud work to get the boat wet. 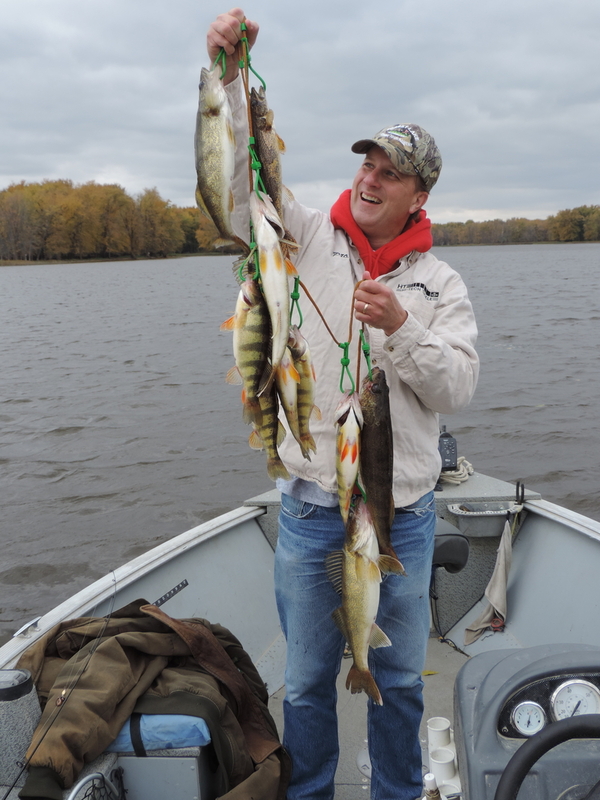 Walleyes and sauger are right where you would expect to find ’em now; in the wintering holes. 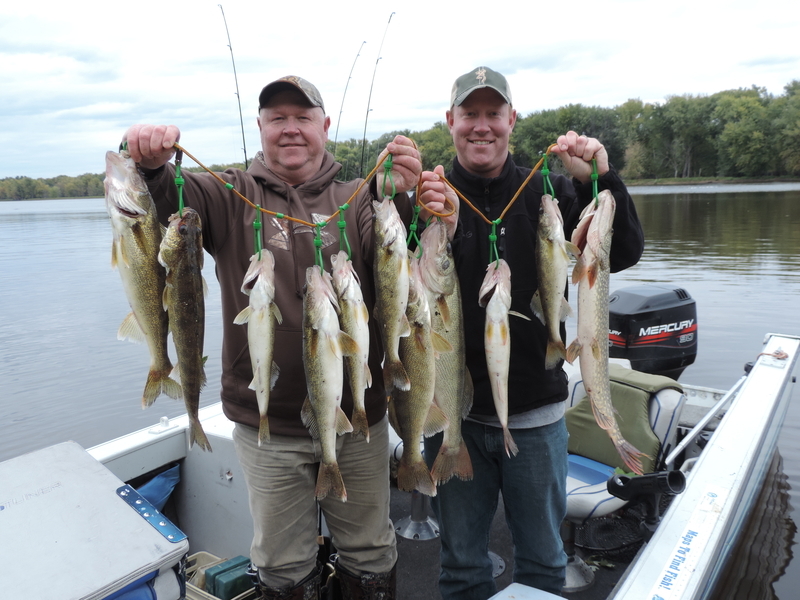 Walleyes holding at about 32′, sauger deeper at 40+. I would rather catch nothing than have a deep water sauger bend the rod. Cranking ’em up from this depth causes their air bladder to expand–sometimes to the point where it’s sticking out of their mouth. You might release the fish to swim away–but it is a dead fish swimming. This is why I won’t go after them now. The walleyes have been slurping in purple and Kelly green Killer jigs…and one other color which works even better. Because they are in deep water a 1/2 oz. is necessary. A lot of fish get hung up on the stinger hook, whether using meat or not. I don’t think minnows are much of an advantage–most of the time. Blade baits will also work. I usually fish the Echotail teddy cat–just because–but the royal shad might work even better in this cold, deep water. navigation can be truly treacherous for the next couple of weeks. Floe ice can come down the river at any time. It will be AT LEAST a couple of weeks before the ice goes on running sloughs and backwaters like Desoto Bay. I’m doing a seminar March 8 at 7 p.m. at the Driftless Center on the south side of Lansing. 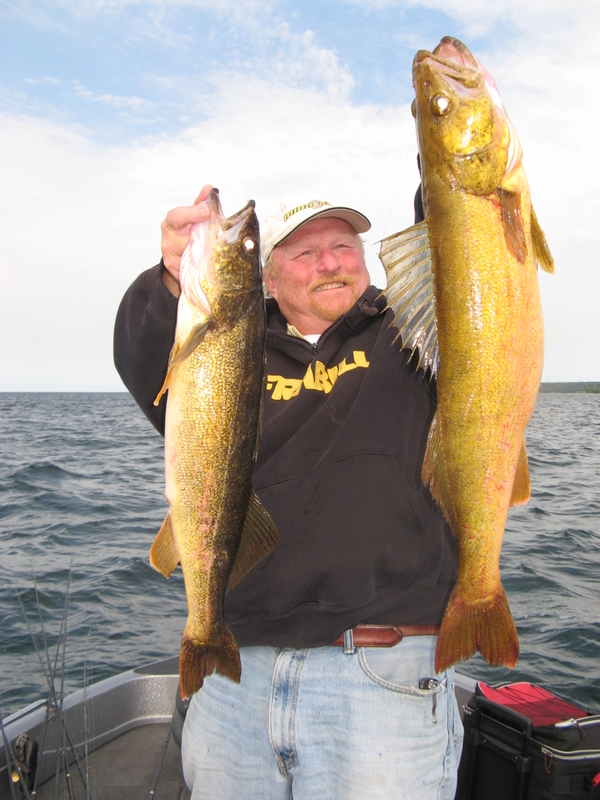 Seminar is ‘Walleye fishing in the upper Miss’. Doing it for free, cuz the Driftless Center is a real treasure which is worth exploring. But, they may request a donation, with proceeds going to Allamakee Conservation..